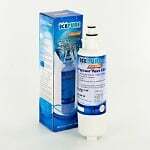 IcePure Refrigerator Water and Ice Filters are a terrific value when compared to OEM filters while still delivering greater tasting water and ice. 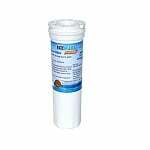 The IcePure RWF1500A is the compatible replacement refrigerator water filter for the GE MSWF Refrigerator Filter. 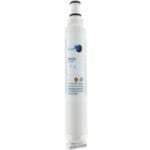 The IcePure RWF3600A replacement refrigerator water filter is an economical alternative to the GE RPWF and is used in a french-door bottom freezer refrigerators. 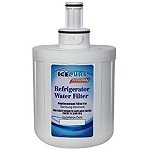 The IcePure RWF0300A is an Inline refrigerator water filter used in the water line leading to your refrigerator. 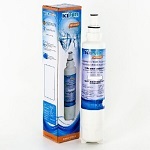 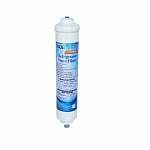 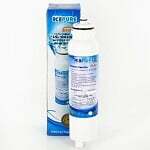 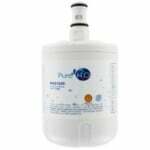 The IcePure RWF4400A is the compatible replacement refrigerator water filter for the BEKO 4874960100. 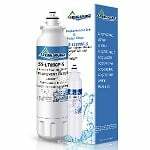 The IcePure WFC2500A is the compatible replacement water filter cartridge for the 3M AP2-C401-SG. 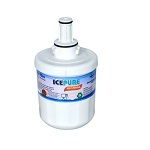 The IcePure RWF3600A is the compatible Replacement for the Tier1 RWF1063. 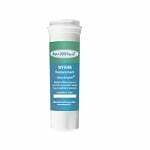 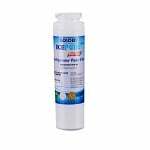 The IcePure RFC0200A is the compatible replacement refrigerator water filter for the Samsung DA29-00003G and EcoAqua EFF-6011A. 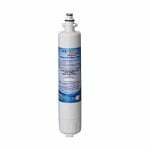 The IcePure RWF2400A is the compatible replacement refrigerator water filter for the Fisher &amp; Paykel Refrigerator Filter - WF296. 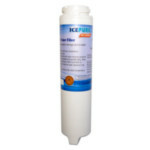 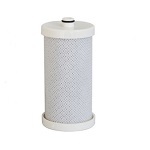 The IcePure RWF2300A is the compatible replacement filter for Frigidaire WF1CB PureSource Water Filter - RG-100 and the Frigidaire WF1CB. 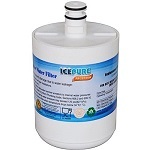 The IcePure RWF1500A is the compatible Replacement for Tier1 RWF1062.